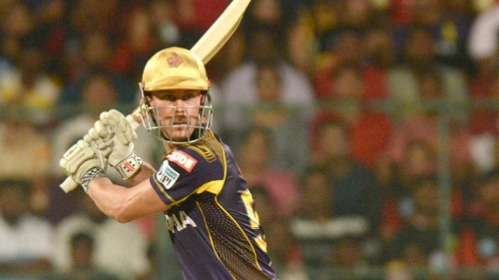 Chris Lynn remained unbeaten on 62 off 52 balls as KKR chased down RCB's target of 176 with 5 balls to spare. It was the battle of star-studded Royal Challengers Bangalore side and the highly spirited Kolkata Knight Riders on a super Sunday (April 29) at the M.Chinnaswamy Stadium. Having suffered a humiliating 55-run defeat at the hands of Delhi Daredevils two days ago, the KKR side made a stellar comeback to register a comprehensive 6-wicket victory over RCB. Following the trend of the ongoing IPL season, KKR skipper Dinesh Karthik won the toss and elected to bowl first. 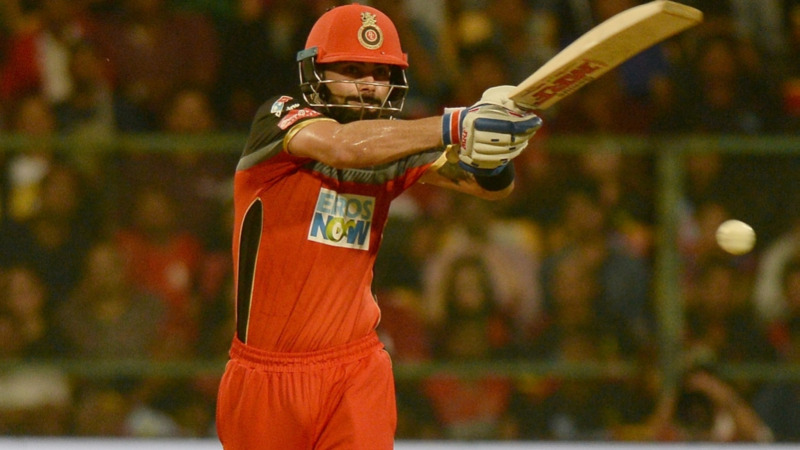 RCB rode on their captain, Virat Kohli’s 44-ball 68 to post a competitive total of 175/4 on the board. Making his comeback into the playing XI, Brendon McCullum (38 runs off 28 balls) was another notable contributor for the RCB. Andre Russell was the stand out bowler for KKR as the Jamaican claimed 3 wickets in his 3 overs. Kuldeep Yadav also impressed everyone with his economical bowling. The left-arm chinaman scalped 1 wicket by conceding only 20 runs in his 4 overs. Chasing the target, KKR got off to a flier with Sunil Narine and Chris Lynn adding 55-run in just 6.3 overs before the rain halted the game for about 30 minutes. Soon after the resumption of play, Murugan Ashwin strikes for RCB by removing Narine for 27. However, Lynn wasn’t in the mood to give to away as he first forged a 49-run partnership with Robin Uthappa and then shared a 31-run stand with Nitish Rana. Rana’s retired hurt and Russell’s first-ball duck could’ve created some chaos in the KKR camp but Lynn (62* runs off 52 balls) along with captain Karthik’s cameo (23 runs off 10 balls) ensured that KKR reached home with 5 balls to spare.
.@RCBtweets can still qualify to the last four. Need to win at least six from the remaining seven! Remember they had won seven consecutive games in 2011 (22 Apr to 14 May) after winning just one from their first four! Went on to reach final!